The prospect of travel and good pay drew Bill to truck driver training at Schnider Trucking Company. Graduation resulted in a full-time position. Teamed with another graduate, Bill and his partner honed their skills in short and long distance hauls. Eager for more responsibility and pay, Bill joined Hogan Trucking Company. Highlights of his time at Hogan included travel to forty-eight States and Canada where he encountered nearly every type of weather and traffic challenge. During these years, Bill had only one accident — an enviable record! Pay it Forward - Bill Skiles’ hope is for residents of our Home to have more opportunities for fun, skill building and friendship connections with other vets. The challenging wheel chair game, Bocce, is one of the recreational possibilities that Bill would like to see available here. Staff at Missouri Veterans Home St. Louis are now looking into ways to make this and other innovative ideas a reality. Bill with just a few of his medals. 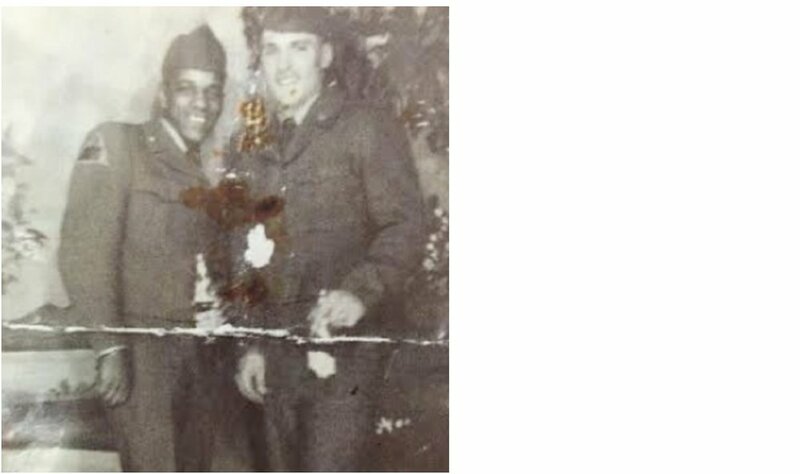 In the fall of 1949 Curtis E. Washington, a native St. Louisan, enlisted in the U.S. Army Reserves and took his basic training at Fort Leonard Wood, Missouri. In 1953, Private Washington went active duty and was immediately transfered to South Korea where he joined an Infantry Motor Pool unit as a driver and machine operator. The Bell In Action with Sandy and Curtis …… Sandy and Curtis today. Dr. Bob is always a welcome sight at MVH. George was guest of honor at this 2018 Honor Flight Gala. LT Ernie Mitch then …………………………………..…… and now with family.